Anyone that’s used Tumblr before knows exactly what a photoset is; a small image gallery of sorts neatly packed into a single blog post. These simple but effective posts have quickly become iconic of Tumblr since they were first introduced back in 2009 by David Karp, and now the popular blogging network is taking them to the next level by launching the Photoset into its own standalone service for Tumblr and non-Tumblr users alike. With photosets out in the wild on iOS, Tumblr is in an interesting position to use the app for luring non-Tumblr users into its network. This is possible due to the way the Photoset app clearly emphasizes Tumblr, while supporting outside social networks like Twitter. And once someone visits your photoset link, they land on an attractive Instagram-like photo page, where the images can be clicked for full-screen viewing. 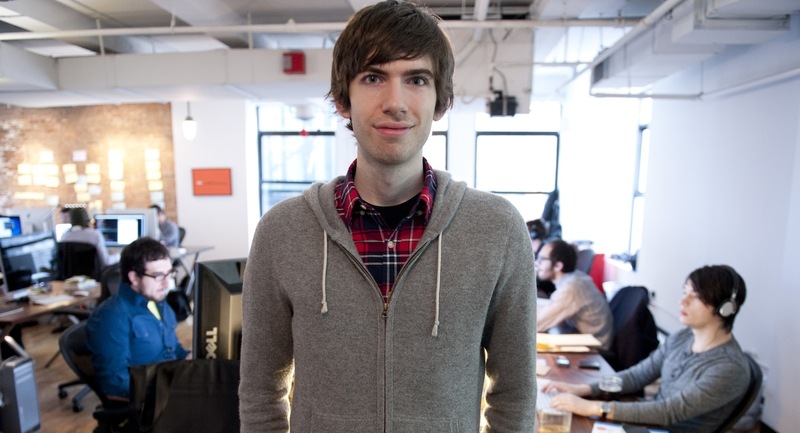 David Karp has always pushed Tumblr as a platform for creatives, and with the release of Photoset, there’s reason to believe that more apps for post creation may also be on the way. It’s important to note, however, that this app is a tool, not a network, and that keeps it (and others which may follow it) from competing with Tumblr’s core service. The new Photoset app is an elegant way to create photosets, even if you’re not using Tumblr. Customize your layout and, once you’ve got it just right, post to your blog or upload to photoset.com, where it can be shared with anyone, anywhere. Using the app, you’ll find it functions exactly as you’d expect, allowing you to select or take photos, adjust their position on the grid and then quickly upload and share. The process of actually moving the photos around felt a bit awkward, but that’s something that can be smoothed out over time. Additionally, I did run into trouble while trying to upload larger photosets on 3G, but a second try did the charm. Overall, Photoset is a simple but effective app that makes it really easy to share photos from your iPhone or iPad. It’s a must-have for Tumblr users, and could make the casual user become an addict, but it’s also worth a peek if you’re Tumblr-curious or enticed by the different layout options. I’m personally most impressed by the Photoset pages themselves, which feel surprisingly clean and make the idea of sharing a photo gallery across networks feel as easy as possible.